Participate in practical, hands-on work experiences during Skyland Grain’s Summer Internship Program. This ag internship is more than just a job, it’s a learning experience designed to allow you to explore career options, develop relationships with top industry professionals and increase your knowledge. As an intern, you will be expected to contribute to the team by providing ideas, sharing knowledge and developing relationships. To get started, email a cover letter explaining why you would like to be an intern for Skyland Grain and a copy of your resume to Aaron Murphy (see below). For questions about our ag internship, please contact the below staff member. 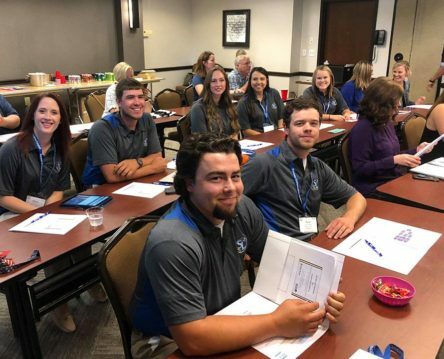 Check out scholarships developed by Skyland Grain to demonstrate its commitment to the communities of Southwest Kansas, South Central Kansas, the Panhandle of Oklahoma and Southeast Colorado.